Today the fermentation on my latest batch of Plague of Kali had subsided, so I decided to rack to secondary and begin dry-hopping. I'm using a new 5-gallon carboy, and I had about a half-gallon space left over after transferring. 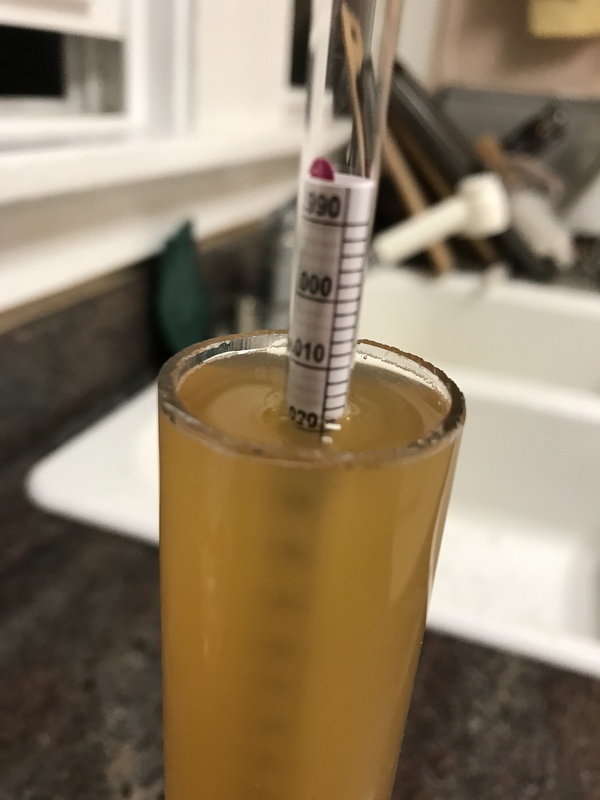 Specific gravity was 1.017+, so we still have a couple points more to ferment down before it is done. Regardless, I shouldn't keep it more than 7 days on the dry hops, so ready or not, I'm bottling next weekend.